Disclaimer: The views and opinions expressed in this article are those of the author and do not necessarily reflect the official position of Toronto350.org or its members. Presence of organizational emblem not be taken to confer endorsement. 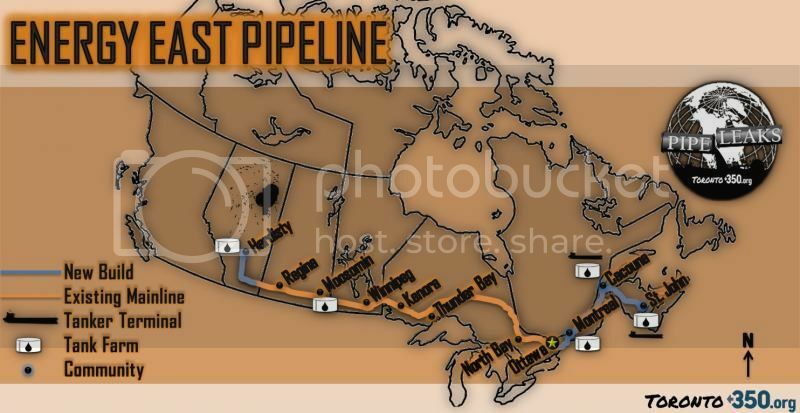 The National Energy Board (NEB) decided on October 6, 2014 to refuse Enbridge Inc.’s request for leave to open (LTO) for the Line 9B bitumen pipeline between North Westover, Ontario, and Montreal, Quebec. The NEB cited a lack of appropriate safety valves at major water crossings (MWC's). Activists taking a stand against the Alberta tar sands pipeline network, have heralded this decision as a small victory. The NEB’s decision is not isolated, does not occur in a vacuum and is not motivated by benevolence. Rather, their decision is a strategic pivot outlining a new public relations strategy for the regulatory process. The NEB is charged with reviewing pipeline proposals. It has received $28 million in funding from federal coffers, and its mandate was strengthened by Bill C-38, which imposed a maximum 15-month timeline on the regulatory process. Those in grassroots opposition circles have labeled the regulatory process a rubberstamp for industry. So after granting their approval to Enbridge, why has the Board suddenly espoused environmental concerns and delayed the LTO? 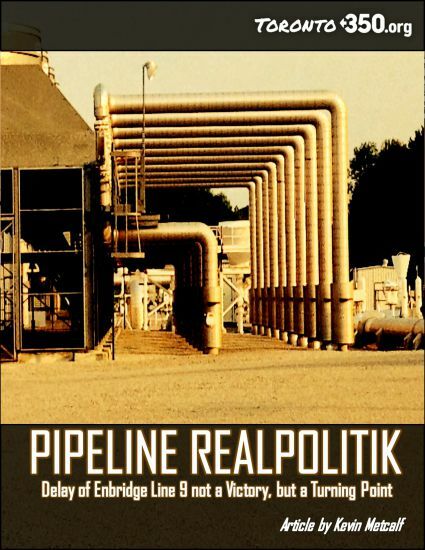 Line 9 hearings were shut down by a grassroots alliance on October 18, 2013 (the same day RCMP raided the Rexton/Elsipogtog Mi'kmaq anti-fracking protest camps). Enbridge’s final statements to the board were delayed on October 19 by a “security situation” following physical interventions and the appearance of 1,000 protesters outside the hearings on their final day. The NEB approved Enbridge’s Line 9B pipeline reversal in March 2014 amid outcry from environmental groups and First Nations. One of the tactics used by activists in the pipeline fight has been the physical occupation of hearings, pipeline facilities and dig sites. This direct action has been undertaken to shape a media narrative and to delay the company’s timeline progress toward project completion. The NEB’s insistence on further work by Enbridge to satisfy condition #16 from its March decision regarding watercourse management creates new targets of opportunity for the direct actions of those who desire to delay the project. Between ongoing legal challenges and physical delays caused by activists, the timeline for project completion has been prolonged well beyond Enbridge’s initial expectations. The NEB’s decision will have a serious impact on the company’s plans to run oil through the line as early as November 2014. There have been three prevailing narratives in the Line 9 fight: lack of a comprehensive environmental\ assessment of the project, lack of consideration by the NEB of the full range of environmental or social impacts (including climate impacts), and lack of social license for the project, including consent from First Nations. The NEB’s explanation for their October 6, 2014, decision to refuse Enbridge LTO is that the pipeline operator has not ensured the presence of valve sites at major water crossings (MWCs). Only 6 of the 104 identified MWCs have appropriate valve sites. Automated sectionalizing valves control pipeline product flow. These valves can be used to seal off or isolate sections of a line for maintenance or for safety reasons. A section of pipeline that ruptures will spill its contents. 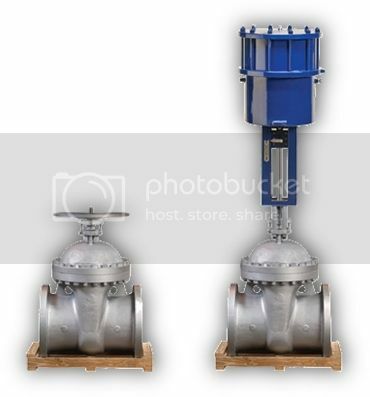 The total amount of product discharged is based on the distance between valve sites and the speed with which controls (i.e., closing the upstream valve) are implemented. Installing valves on a buried 30" pipeline will require many new excavations. In the case of Line 9B, a mishap could see diluted bitumen spill near a creek or river due to lack of appropriate valves, which could lead to a multi-billion dollar environmental catastrophe as happened on Enbridge’s system near Kalamazoo Michigan. These are serious risks and the NEB’s request for contingency planning validates the positions of many grassroots activists. To explain the political subtext behind this delay, it is important to understand the broader themes influencing Canadian pipeline politics. There is a coordinated campaign underway involving industry, the federal government, the regulator and even foreign powers. Their goal is finding a method for bringing Canadian oilsands crude to tidewater and accessing international commodity prices. In the aftermath of the Lac-Mégantic tragedy it is unlikely that rail shipment will win public support as a safe alternative to pipelines. The more product shipped, the higher the probability of an accident. Oilsands oil brought to eastern tidewater by rail has already been moving overseas by tanker from the Gulf of St. Lawrence. There are plans to service up to 20–30 tankers per year from Sorel-Tracy, a port on the St. Lawrence. TransCanada Pipelines Limited has the Keystone XL pipeline in development southward, intended to bring oil to Cushing, Oklahoma, and on to the Texas Gulf Coast. This plan has met with strong opposition in the United States. Between Barack Obama's indecision and resistance from alliances of indigenous groups and rural landowners opposed to the project, investor confidence in the project is at an all-time low. All this maneuvering by energy companies is really about investor confidence. Multi-billion-dollar portfolios are divesting themselves from increasingly risky fossil fuels. Delays for infrastructure are a major risk in any market assessment. The oilsands of Alberta have seen a recent exodus of billions of dollars of investment with cancellations of planned upgraders and mines by Dutch Shell, French Total SA and Norwegian Statoil. There are geopolitical considerations about North American and European energy security that have been spurred on by a spate of Russo-Western revanchism unparalleled since the Cold War. Military campaigns underway in the mideast against ISIL are changing the narrative about Canada’s perceived reliance on oil imports from abroad. Energy politics are shaping crises and intrigue such as 2014’s Ukraine unrest, in part caused by huge gas debts. On October 20, 2014, the CEO of Total was killed in Moscow as his private jet clipped a snowplough while landing. This incident followed the September failure of shale oil negotiations between Russian Lukoil and Total, as a result of international sanctions. Compounding the new energy crisis is world market volatility of oil pricing. Demand for pipeline infrastructure is directly correlated to product demand. Current low prices for oil result in lower demand for pipelines to bring that oil to market. Today’s cunning strategy to bring oil to tidewater could be tomorrow’s albatross about the neck. Policymakers and investors must be aware that business as usual is becoming untenable. On October 10, 2014, former Bank of Canada head Mark Carney said that the majority of the world’s carbon reserves must remain in the ground if we plan to avoid catastrophic climate change. It stands to reason then, as Canada’s fastest growing source of emissions, the oilsands project must be abandoned if Canada hopes to meet its international commitments on climate. TransCanada filed a project description with the NEB in March 2014, days after the regulator approved Enbridge’s Line 9B reversal project. A major application was brought before the NEB on October 30, 2014, amid public protest. This 30,000-page filing will work its way through the regulatory system over the next 18 months. From the company behind Keystone XL comes a proposed 4,500 km heavy oil pipeline that would run from Alberta to New Brunswick. The project is known as “Energy East” and it promises to move 1.1 million barrels per day (bpd) of unrefined oilsands crude to eastern coastal refineries owned by the Irving family and thus to tidewater. TransCanada plans to repurpose an “underutilized” natural gas pipeline as a means of connecting the oilsands to the international market. The project is exclusively located within Canada, meaning unlike Keystone XL, US assent is not critical to its completion. Former Alberta premier Alison Redford called the plan a “nation builder,” comparing the project to the building of the Trans-Canada Highway or the Canadian Pacific Railway. Enbridge also has a sister gas distribution company Enbridge Gas Distribution Inc., which relies on the existing TransCanada gas mainline to bring product to its networks. Major distributors including Enbridge, Union and Spectra have spoken out against TransCanada's plan. Gaz Metro in Quebec has gone so far as to claim decreasing gas supply in the mainline will lead in some cases to a 150% increase in natural gas prices. Eastern consumers will pay a premium to subsidize western extraction. Environmental concerns with Energy East include threats to watercourses and wetlands in some of the most ecologically significant regions of the country. Energy East threatens endangered belugas in the Gulf of St. Lawrence and right whales in the Bay of Fundy with the risks of development, spills and tanker traffic. Energy East also represents the likely expansion of oilsands operations. The Pembina Institute estimates that between oilsands expansion and energy use in transmission the project will result in 33 million tonnes of carbon pollution per year before refining, transportation and consumption of the oilsands product itself. Energy East is shaping up to be the fight of the century for industry and environmentalists. This proposed infrastructure guarantees emissions at a time when governments should be acting on climate change. Given predictions about runaway feedback loops like ocean acidification and Arctic methane release, the stakes for humanity have never been higher. The grassroots People’s Climate Intervention is currently underway. The campaign draws inspiration from the success of other campaigns such as the Dogwood Initiative’s coordination of 1,100 interventions in the Northern Gateway hearings in BC. Activists are hoping to involve thousands of people as intervenors speaking against the Energy East pipeline project. The hope is that thousands of submissions will be made to the NEB about the climate impacts of the project. The NEB does not list “climate” on its list of issues for the project. The calls for climate’s inclusion will likely be rejected. This is an opportunity for activists to reveal flaws in the process by calling out what they see as a rubber stamp for the project. The People’s Climate Intervention will hurt the NEB’s social license and will lead to escalating interactions between the board and activists, ultimately aimed at delaying or cancelling the project. Natural Resources Minister Greg Rickford announced in Fall 2014 that the federal government will undertake a campaign of winning social license for pipeline projects, where PR campaigns failed. As far as the NEB’s decision on Line 9B , activists would be wise to think pragmatically. The regulator is facing mounting criticism and a campaign aimed at delegitimizing their process. The pipeline companies themselves have suffered innumerable delays and have been damaged in the public eye, undermining the confidence of their investors. The delay of Enbridge’s LTO has very little to do with ensuring pipeline safety. Throughout the review process and during the project’s approval, the NEB did not express any serious concern about environmental impacts of the project. Any serious concern should have led the board to withhold its approval, conditional or not. Line 9 is competing with Energy East to reach the Atlantic, and would do so via the Montreal–Portland link. It is slated to move about 300,000 bpd while Energy East would move 1.1 million bpd. Two companies, Enbridge and TransCanada, that compete to bring oil to market are moving the projects forward. Obviously the NEB is cognizant of the political subtext between these proposals. Given the declared federal intention to win social license for the regulatory process, should it be surprising that the NEB is willing to throw the lesser of the two projects out with the bathwater as a way of building confidence in their ability to act in the public interest? In delaying Line 9B, the NEB is moving proactively to shore up its reputation as defence against future criticism. Because of the complexity of the projects, the process and the specifics of the NEB’s interactions with pipeline companies evades public scrutiny. 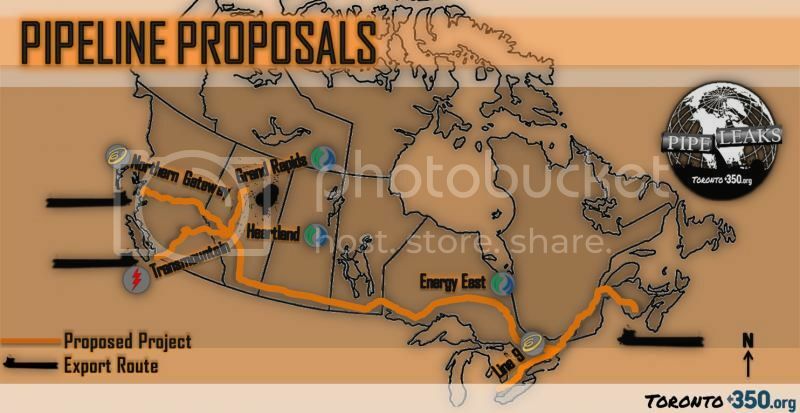 When it comes to the battle to be fought around Energy East and any new pipeline proposals like the Arctic Gateway (yes, if all else fails industry will try to build one north) the NEB will put its effort into shaping the optics of the process. The appearance that public interest is being served by the regulator, or that the regulator shares concerns with the public will be used to undermine the People’s Climate Intervention narrative about the illegitimacy of the regulatory process. For local activists who may not be considering the broader strategic or international context of their actions, there is a need for a change in optics as well. Local opposition to individual pieces of infrastructure allows the regulator, government and industry to divide and conquer. One project can be played off another to move both forward by degrees. The board’s decision is not a victory for the grassroots – yet. The decision by the NEB however, is a turning point in the fight against the hydra-headed oilsands pipelines. It shows a shift in tactics by the government/regulator and a willingness to sacrifice one project to benefit another. Activists need to consolidate their gains and fight a multi-front, unified national campaign to turn these brief delays into permanent victories. All pipelines must be opposed, not just those in specific backyards. Pipelines are the common, uniting thread of opposition to oilsands expansion. Kevin Metcalf is a volunteer organizer with Toronto350.org. He manages the organization’s campaign against tar sands pipelines. In this role he founded the website www.pipeleaks.org which hosts maps and citizen journalism regarding pipeline issues. He is a part-time student at Ryerson University, with a background in global studies, and the history of technology. Kevin lives in Toronto, Ontario, where he works full time selling renewable energy.